Hana Alemu Befekadu arrived in the US from Ethiopia In August 2008. About 2 and a half years later, she died, in May 2011. Her adoptive parents Larry and Carri Williams were charged in her murder, and for the assault of Immanuel, the other Ethiopian child adopted by the Williamses, in October 2011. Now, almost 2 years later, we are awaiting a decision by the jury as to the Williamses’ guilt or innocence. There has been great interest in the trial, certainly by people in the international adoption community (adoptive parents, adoptees, and first/birth families around the world), the deaf community, and the Ethiopian community (here in Washington state, as well as across the US and of course in Ethiopia). I’ve met many survivors of child abuse and domestic violence (some related to religious teachings, some not at all) while covering this trial: their hearts are surely with Hana and Immanuel as well. Many people have no particular connection to the details of the case, but they are horrified and saddened by what happened to Hana and Immanuel. All this connection is wonderful, and serves to honor the memory of Hana. Once the verdict is reached (and I so hope genuine justice is achieved for Hana and Immanuel), what then? The press coverage will stop, and people will move on to other events and news. That’s simply life. That said, I feel there are other, potentially lasting and valuable changes that will occur as a result of the way Hana and Immanuel have affected people. 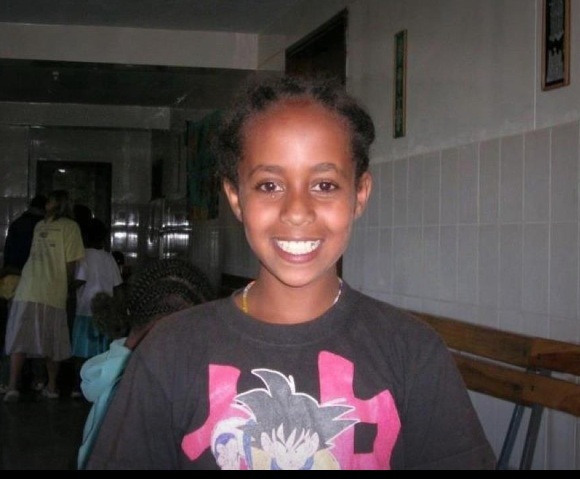 The Ethiopian Community Center in Seattle will continue its great work on Hana’s Fund. There is talk of installing a headstone on Hana’s grave in Sedro-Woolley (there are a number of legal issues around doing that which must first be sorted out.) There are Facebook groups dedicated to Hana, and also to bringing about changes in the adoption process. The state of Washington wrote the Severe Abuse of Adopted Children Committee Report, which discusses not only Hana but other children who have suffered horrific abuse at the hands of their adoptive parents. I hope that work will continue on implementing this report’s solid, thoughtful, appropriate recommendations that could definitely improve the adoption process. There will likely be many articles and books written about the trial, Hana, Immanuel, Larry and Carri Williams. I have written a lot about this trial, thousands and thousands of words. I very much appreciate all of those of you who have read my posts, who have commented thoughtfully, and who have thanked me for writing. My blog has had over 55,000 views since the trial began. That’s pretty amazing. Hana has reached the hearts of so many people. I’ve decided to write a book, not so much about the trial or about Ethiopian adoption as about why pre-adoption preparation and post-adoption resources are so important. I have a featured article in this month’s issue of Gazillion Voices, an adoptee-led, on-line, provocative, compelling magazine. My article is called “Standards of Practice for Adoptive Parents: An International Manifesto.” I had written here in my blog about these unenforceable and necessary standards. In my book, I will weave the need for better preparation and more post-adopt resources with stories of adoptive parents and, more importantly, with the stories of adoptees and of first/birth parents. My dream is to create a book that honors the experiences of adoptees, including Hana and Immanuel, as well as those adoptees who have had joy and love in their lives, though that may well have been accompanied by loss and grief. I can write only from the perspective of an adoptive parent, one who loves her children beyond words, and one who has (literally) embraced her daughter’s Ethiopian family members, on Ethiopian and American soil. Wednesday, September 11, is the Ethiopian New Year. Happy 2006! (The Ethiopian calendar is different from our western one.) Rosh Hashanah, the Jewish New Year, was just celebrated. Happy 5774! I’m neither Ethiopian nor Jewish, but I revel in the idea of thoughtfully reflecting on past events (recalling joys, not forgetting tragedies), and of moving toward new possibilities and renewed hope. And that, I believe, is also part of Hana’s legacy. This entry was posted in adoptees, adoption reform, Hana Alemu, Hanna Williams, Larry and Carri Williams by Light Of Day Stories. Bookmark the permalink. Thank you so much for all you have done to bring awareness to this story, and all you continue to do. As a therapist for children and a mom of an internationally adopted daughter, I have been following this trial and your blog closely, praying fot justice for these precious children and for the prevention of similar tragedies in the future. You are an amazing person. Best of luck on your book. Ill be watching for news about it. Thank you very much. I’d welcome your thoughts and comments. I had read an article in Bellingham Herald yesterday that a lady named Roseanne Bramlett (aka Devils Advocate) was contributing to a fund to help keep the mortgage paid on the Williams House of Horrors. I wonder if this Roseanne Bramlett would help start a fund to get Hana a headstone instead!! Such sick, sick people that are in such denial! I wouldn’t be surprised if the orphan collecting trend in the Christian Dominionist culture had died down. Most had a similar outcome as the Williams;s, although not all ended in death. Once more of these adoptees break free, we will hear more stories of abuse and denial of education similar to the accounts told by the adopted grandchildren of Nancy Campbell. Michael Pearl refuses to take any responsibility for the death of Hana Williams or Lydia Schatz but he does advise his followers to not adopt older children. In fact, I think he advises against adoption altogether. All adoption agencies have oversight from the state, and international adoptions have oversight from the US State Department. Once adoptions are finalized, neither state or federal governments have rights to intervene in an adoptive family anymore than they do in a biological family. That aside, I give Washington state some credit in acknowledging that deaths and abuse of adopted children have occurred, and in beginning to make legislative and policy changes to prevent further abuse. Some states don’t acknowledge any such realities. It will require more money, more social workers, more training, perhaps more law enforcement, more legislation, more time. Washington state prepared a report, Severe Abuse of Adopted Children, which has plenty of excellent recommendations for reform. It’s a good start. You can find it here: http://www.dshs.wa.gov/pdf/ca/SevereAbuseofAdoptedChildrenReport2012.pdf. The thing that upsets me most in all of this is Carri insisting she couldn’t get Hana to come inside that night. Really?????? She couldn’t force an 80 lb starved, half frozen child into the house? She could get her into the closet!!! She couldn’t get behind the girl, put her arms under Hana’s and march her into the house? And she couldn’t cover her with a blanket and have her three teen boys bring her in? Did that get addressed in court at all? It’s such an obvious lie. She could torture her but not get her to come in. Bologna. I AGREE WITH YOU KATHY. I think there is only a grain of truth in the repeated requests to get Hana to come inside. I believe she tried to get Hana to come inside shortly before Hana died and probably because she wanted to have Hana back in her closet before Larry arrived home shortly after midnight. Creating a peaceful home with no inconvenient conflict with the children is part of culture. At this point, Hana was in a severe state of hypothermia. In this stage, the victim feels overheated and can become combative. As a symptom of the hypothermia, Hana would have become “oppositional” and may have flailed and fought efforts to talk her in, or forcibly bring her in. I agree that Carri and the three well-fed almost adult boys could have forcibly brought in the 78 lb starved girl. At that point, aggressive measures would have to have been taken to warm up her core. I’m no expert, but I don’t believe that being a 70 degree, more likely 68 degree home would be enough. They would have put the “oppositional” girl back in her closet where she would have eventually calmed down (died). The next afternoon they would have been impressed at how non “oppositional” Hana’s behavior had been since being in the closet, and they would open the door to treat her to some cold spaghetti or a wet sandwich, and much to their surprise they would find her body in a state of rigor. I agree. They were able to bring her in once she had died. Surely they could have brought her in beforehand. There’s no excuse, no justification. The sad thing is that coverage is not nation wide. Not one person that I’ve mentioned this trial to has known it’s been going on. Almost none of them remember the case. Trayvon was so public and quick, yet this trial is not. It’s sad that so few knew at the time it happened, and those that did don’t remember. The trial got mentioned on a Washington, DC, TV station, but that’s about it. The Washington, DC, area has a huge community of Ethiopians, one of the largest outside of Addis Ababa. Beyond that, though, I’ve seen little coverage. It is sad. Still, there are many, many people following the case, if my small blog is an indication. And I am sure once the verdict comes out, there will be much more coverage in the media. I just hope that, regardless of the verdict, that positive changes emerge from this tragic case. And I love your hopefulness about the advent of the Ethiopian New Year. I’m always hopeful that if I can make a few people think, maybe it will be enough to stop another tragedy. I’d be honored. Thank you so much for asking me. I’ll draft something, and send it to you via email. You are doing amazing work, and I am so grateful for the way you are working to help children and families. I believe in hope very much, without expectation. I don’t mean that in any negative sense. I work to stay full of hope, without attaching too much to the outcome which I cannot control. Every day, every moment, present possibilities for hope and change. Happy New Year! Pingback: The Wartburg Watch Revisits The Pearls’ Teachings | Why Not Train A Child? Looking forward to your book. I’m happy some good will come from Hana’s death. If Hana had not died, those two would have continued living in that house of horrors with the daily torture. How many others are out there suffering. Carri was inspired by Above Rubies. Mother Jones did an expose on this. Nancy Campbell from the Above Rubies compound was instrumental in encouraging orphan collecting by their Christian homeschooling followers like Carri. Nancy’s daughter and son-in-law went to Liberia and scooped up a handful of orphans. None of those children died and they similarly lived in a house of horrors, and only got out when they turned eighteen. They also were denied an education, were forced to spend hours working in the fields and hit with glue sticks and plumbing line. I don’t know why more wasn’t made of the recklessness and callous disregard for life in padlocking the kids in the closet and shower room and then going to bed. If the kids had perished in a fire, the Williams’s would have been charged with homicide. The kids dodged that bullet only to be hit with another one. Kathryn Joyce’s book “The Child Catchers: Rescue, Trafficking, and the New Gospel of Adoption” provides a huge amount of insight and information on many of these issues. Frightening, sad, unnecessary. They didn’t put a headstone on Hana’s grave? I didn’t think my opinion of the Williams could have gotten any lower, but it just did. How demeaning. I don’t know exactly. Too expensive? It’s a sad little site, difficult to find. Many cemeteries now don’t have big headstones, but Hana’s doesn’t even have the flat stone marker. The Ethiopian Community Center in Seattle and others are interested in getting a decent marker of some sort, but there are many legal issues around doing so. Once those are resolved, my guess is there will be some fundraising, which I think will be quite easy. Hana won’t be forgotten. Thank you for all your hard work in bringing this story out. I had heard very little about this until I saw Cari Williams testifying. That woman reminds me, in a non-physical way, of my sister. Nothing is her fault! The child did it to herself. If she had only followed the rules! That is EXACTLY what my sister had said after she tortured one of her own children. As I write this, I am close to tears for Hana and Immanuel, as well as my (now grown) nieces. Some people should never be parents. I do truly hope that some kind of good will come from Hana’s death. Maybe some people will be more aware of child abuse and what signs to look for when a family is in crisis. I hope that also, and I feel confident there is now more awareness. There is some momentum for change in adoption policy, not just in Washington state but elsewhere. Those are all good signs. Thank you, Missy. Your perspective would be invaluable. And I agree–there are many happy domestic and international adoptees, and their stories are too often not heard. I hope my book might show that there is a connection among good pre-adopt prep, good post-adopt services, and more positive outcomes. I’ll follow up with you. I so want you to be right about that connection. Let us, your faithful readers here at the blog, know what we can do to participate. I absolutely will. Thank you. I am a domestic adoptee who has found much familiarity in the stories of transracially/internationally adopted people. I was adopted in 1970, and my parents, while functional on the surface, were not fit to parent and had not been prepared for the challenges involved. In particular, my adoptive mother never dealt with her grief about not being able to bear a second child of her own (my oldest brother is my parents’ biological child) and as a result, I bore the brunt of that unresolved grief. I’m so sorry for what you went through. What an unfair burden for a child. I admire your strength and resiliency, and wish you all the best, from my heart. I am an AP and a happy domestic adoptee (a group I feel doesn’t get much press). Be happy to help you with your book.